Support Sen. Grassley at the Anti-Grassley Rally Tomorrow in Iowa City – See you there! Tomorrow there is going to be an “Anti-Grassley” rally held in Iowa City to blast Sen. Chuck Grassley for his courageous stance on the Supreme Court vacancy. Sen. Grassley is doing his part to protect our freedoms by seeking to keep the Supreme Court from being full of judicial activists; will you join me in doing our part? I will be at the rally to show the media and public that I stand with Sen. Grassley and his position to withhold appointing a nominee until the next president is elected as permitted under Article 2, Section 2 of the U.S. Constitution. I will be at the rally proudly representing Concerned Women for America and thanking Sen. Grassley for his service. You can e-mail me if you’re interested in coming or simply show up! 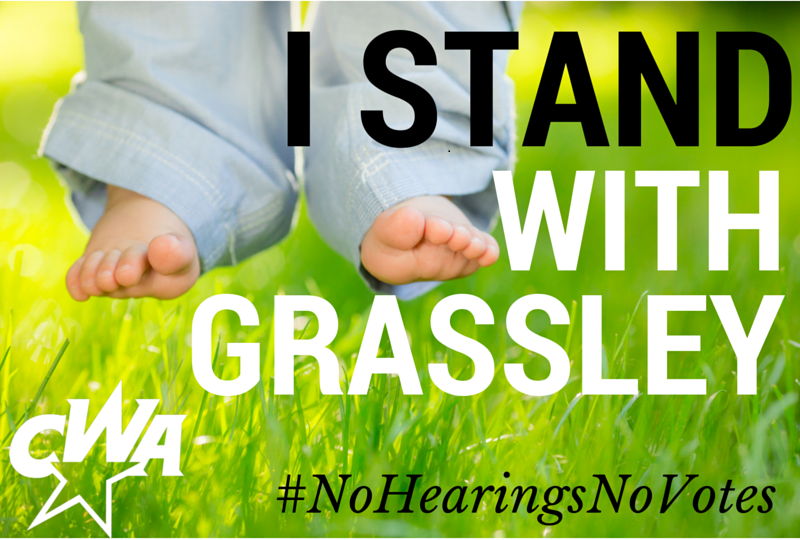 It would mean a lot to Sen. Grassley to have our support! Bring your neighbors, bring your friends, bring your family! Even if only for a little bit. I have a free CWA t-shirt for the first five people to contact me about attending! 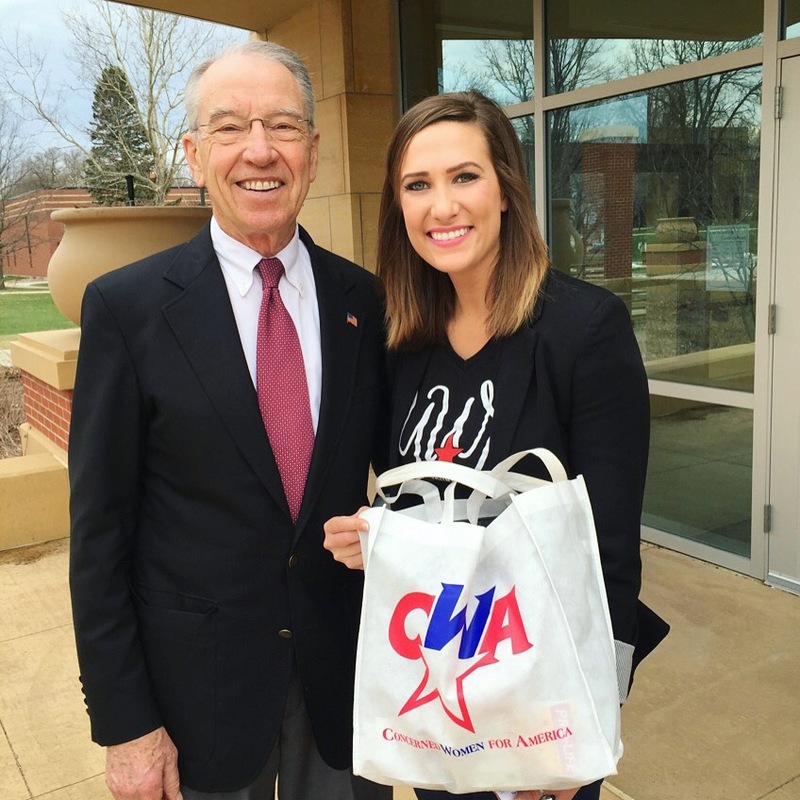 In addition I will be handing out CWA stickers and “I STAND WITH GRASSLEY”/CWA stickers. Look for me, I will have on a CWA T-shirt. Here is a picture of me with Sen. Grassley. If possible, bring a sign so that it is clear that you are in the support Grassley crowd. Oh, one more thing, CWA has hired a digital truck billboard to drive around the event with our “I STAND WITH GRASSLEY” message. Watch for it!